VRKiwi from Oulu, Finland aims to solve the problem of lack of quality content in VR markets. They want to focus on giving the player a seamless virtual reality experience with beautiful graphics and fun, easily approachable gameplay. 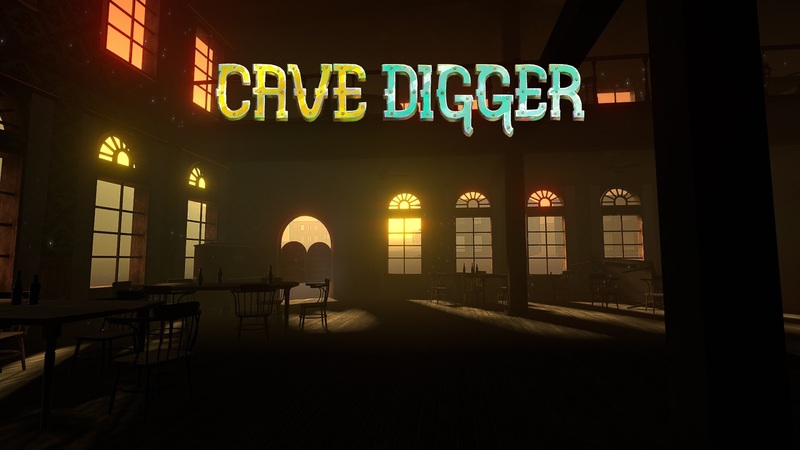 Their debut, Cave Digger is to be released for free on Steam on May 10th. The game takes place in a small town in an alternative western universe, where a newscaster guides a miner, the player, via radio through the game narrative as the miner starts its adventure inside a mystery saloon and descends into the saloon’s mine shaft. By excavating various treasures from the walls of the shaft, the miner can collect them for money which the miner can spend on upgrading their scrappy aftermarket tools and devices. Many secrets lie under the layers of rocks and dirt for the player to discover and experience. The game is designed to fit VR arcades and living rooms. The game rounds are short, so it’s even easy to switch players in between runs and enjoy the game with your friends. So gear up and experience the depths, worker!